December | 2014 | Every good thing…. With the holidays and big doings with the family our blog had been on the back burner. 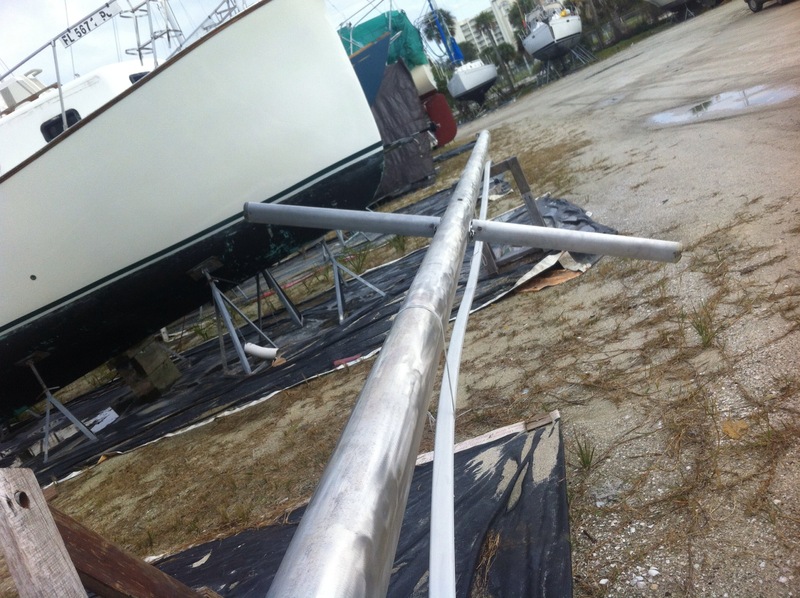 However we have been working on the boat and are making progress. Here is a photo of our new spreaders. 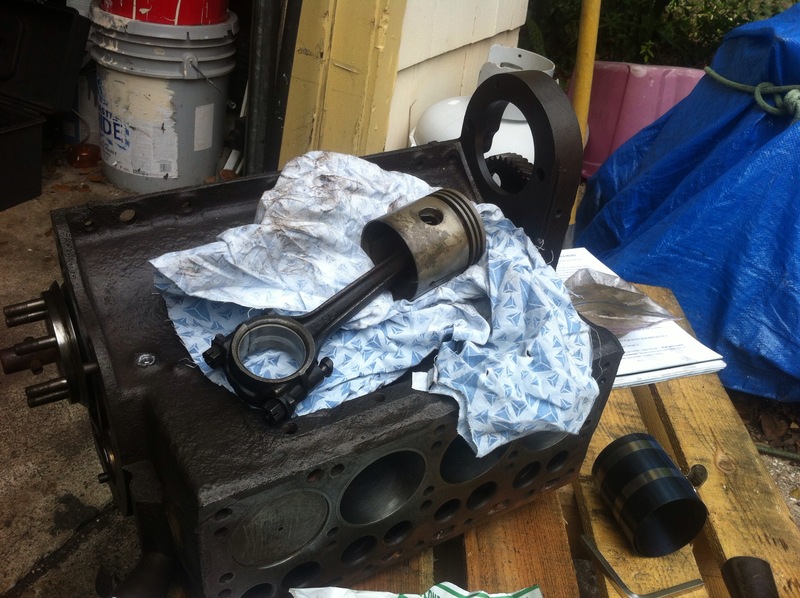 had a cool spell lately and that has slowed down the motor rebuild. I have been working on it none the less. 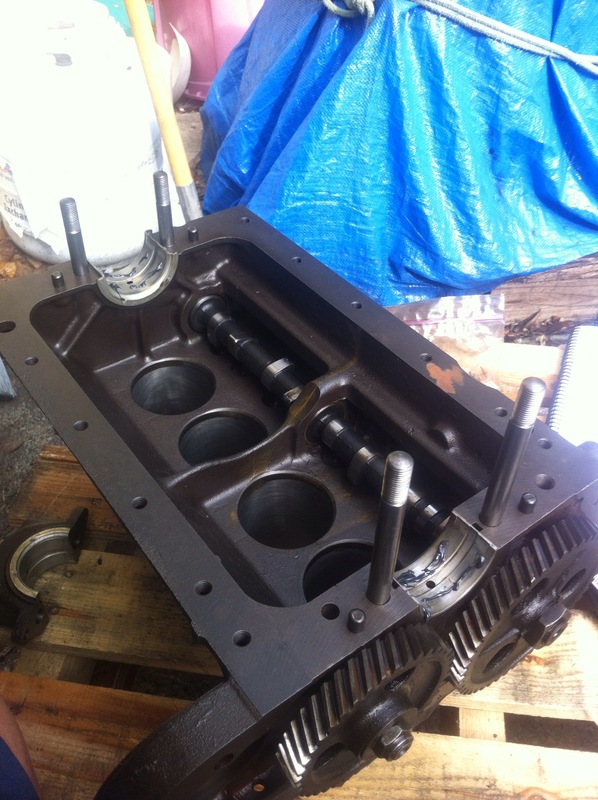 I have previously rebuilt motorcycle engines but this is definitely a step more complex. Even if the Atomic 4 is a simple four cylinder. Studs installed waiting for crank and the top bearings. I made a point to use assembly lube on all the parts as it will be a few seconds before the oil pump lubes everything up. Note in this picture the cam shaft is in place. It actually goes in after the crank and pistons. 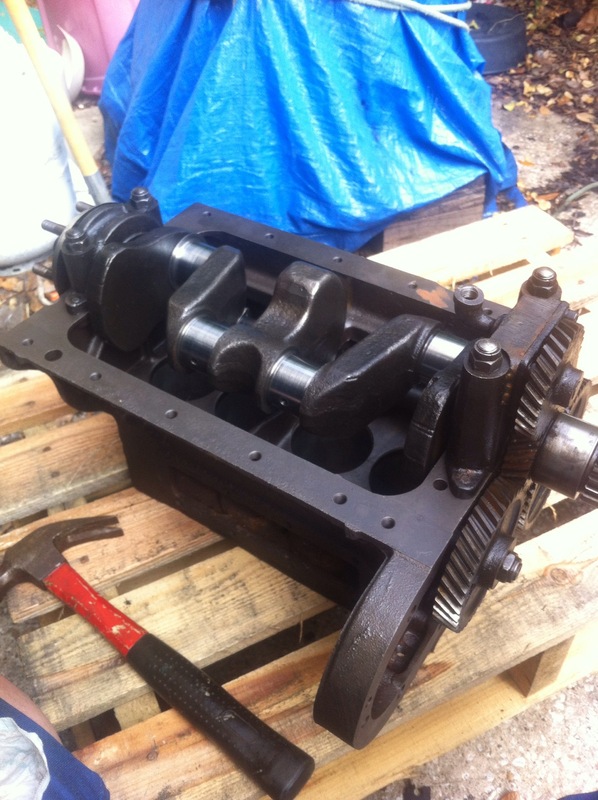 The crank shaft is in and waiting for pistons. I had a hammer handy, thankfully it was not needed. The pistons are numbered and the 1 thru 4 with an arrow that needs to point towards the rear of the motor (not the front as it says on the piston). Of course I got this wrong and had to turn all the pistons 180 degrees after install. 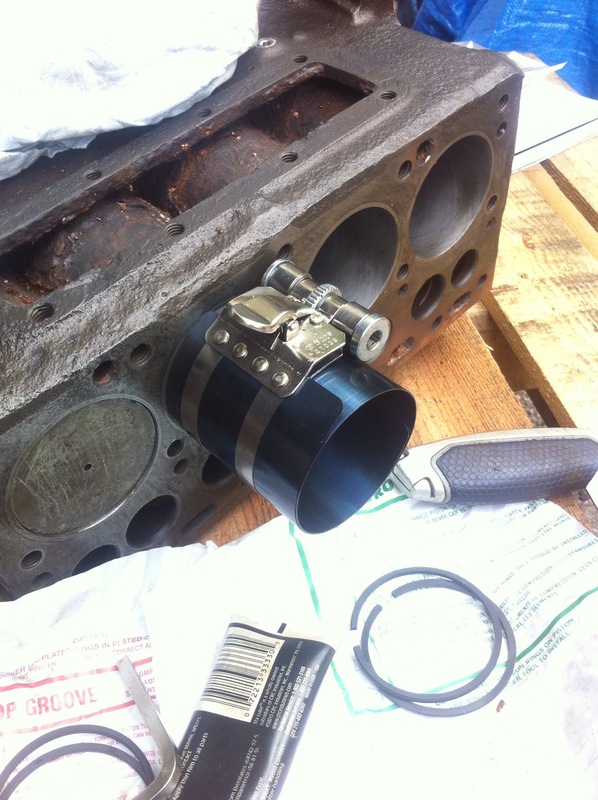 After installing all new rings on the pistons I used a ring compressor tool to slide the piston down the bore. New piston rings. The top 2 are compression rings and the bottom is an oil sweeper. I borrowed the tool for free from AutoZone for a $10 deposit. It worked fine until the last piston. I had checked the gap on the ring by placing them in the bore before install but by the fourth piston and everything working well I did not. Of course that meant ring 2 was not gapped correctly. This is thankfully were my previous experience helped. A bit of grinding and the piston was in. 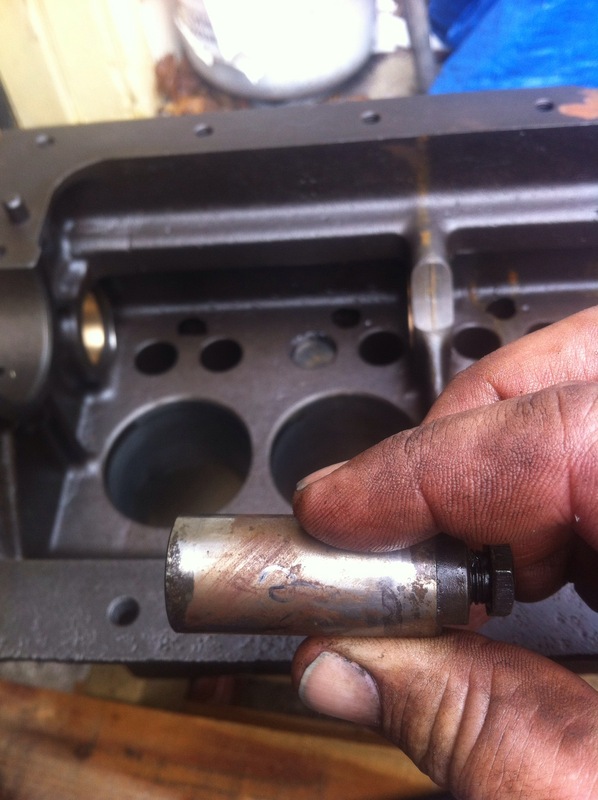 After the pistons were installed I put the 8 tappets in and then the Cam shaft making sure to line up the timing marks. Next up was the valves. Valve after lapping into the block using grinding compound. First each valve (in numbered bags) was cleaned and then lapped to match its seat. Since the block had been cleaned this was required but not a big hassle. The valves cleaned up nice and matched the well. 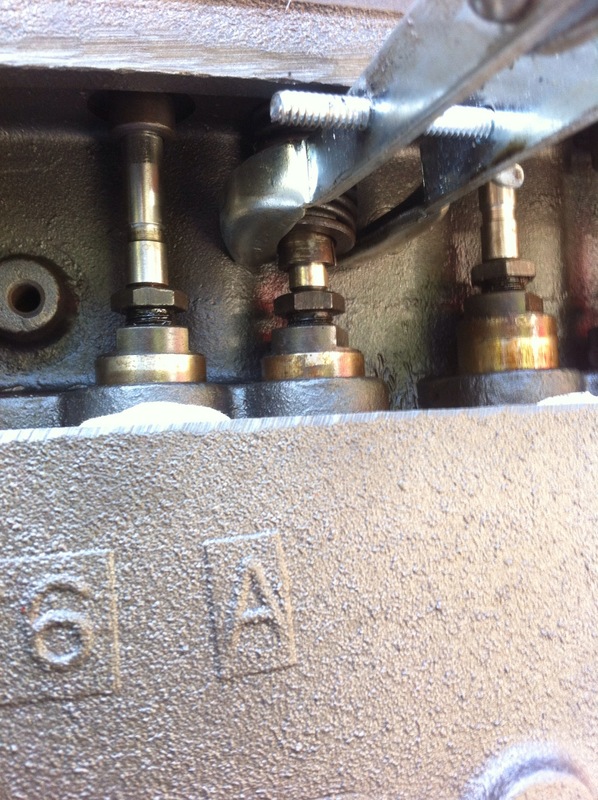 The only problem I had was the number 2 intake valve was bent. 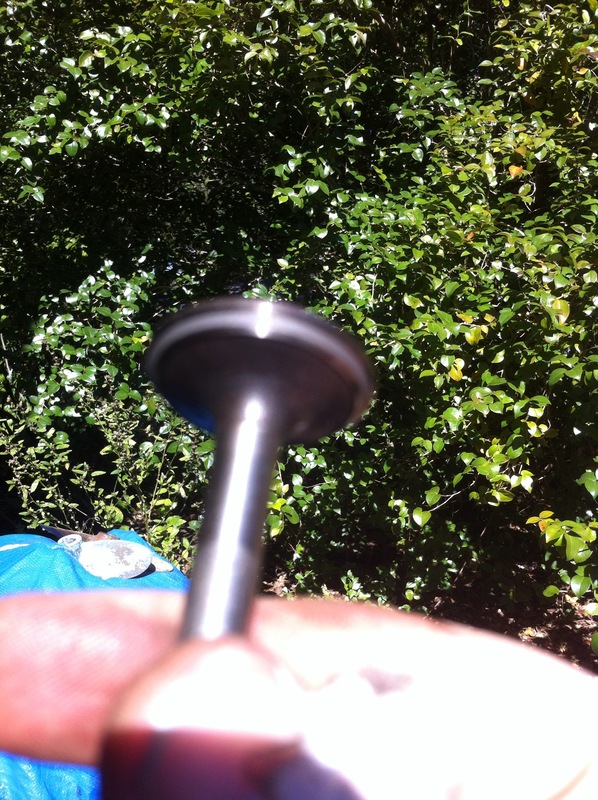 I had to take an intake valve off of my donor motor to replace it. After all the valve were lapped it was time to reinstall the springs. Valve spring, 2 wedges and keeper. 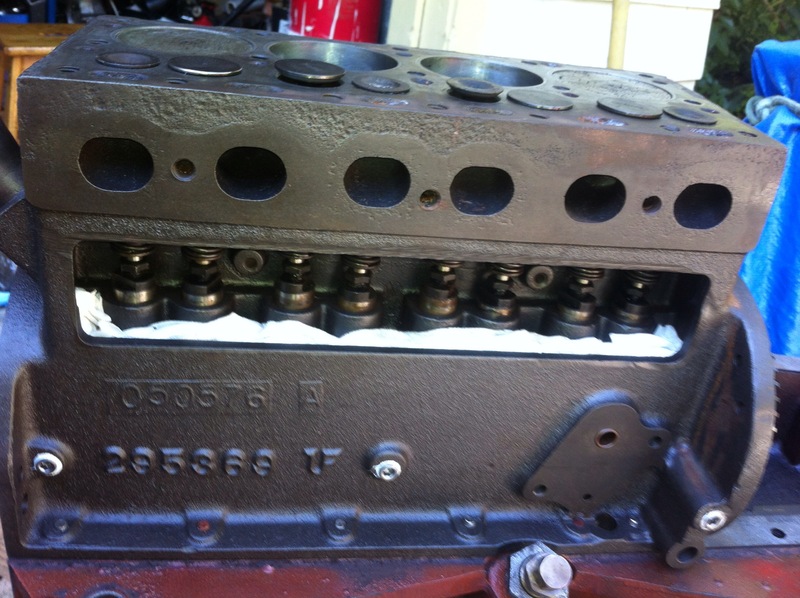 The valve springs had to be placed with the keeper on the bottom. After that the valve with the stem lubed is dropped in. 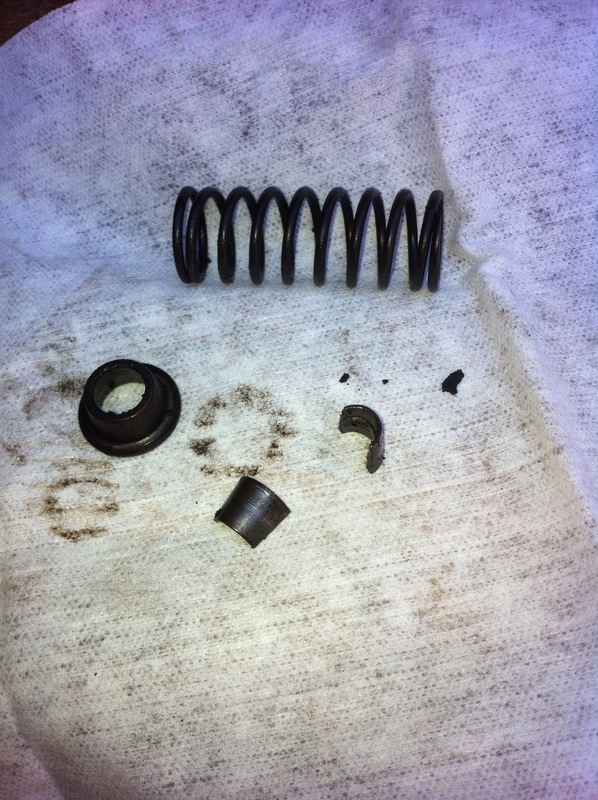 Then the spring is compressed using a tool bought on Amazon. With the spring and keeper compressed the wedges in place. 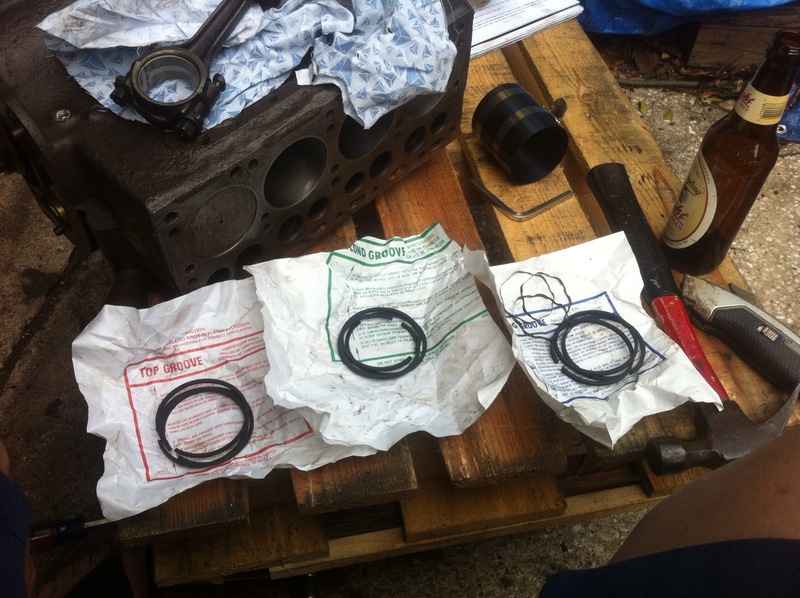 Although a bit fiddly the valve springs went in pretty easily. Yay, valves. The cloth is in place to keep the wedges from falling down into the oil pan through the holes in the bottom of the spring gallery. 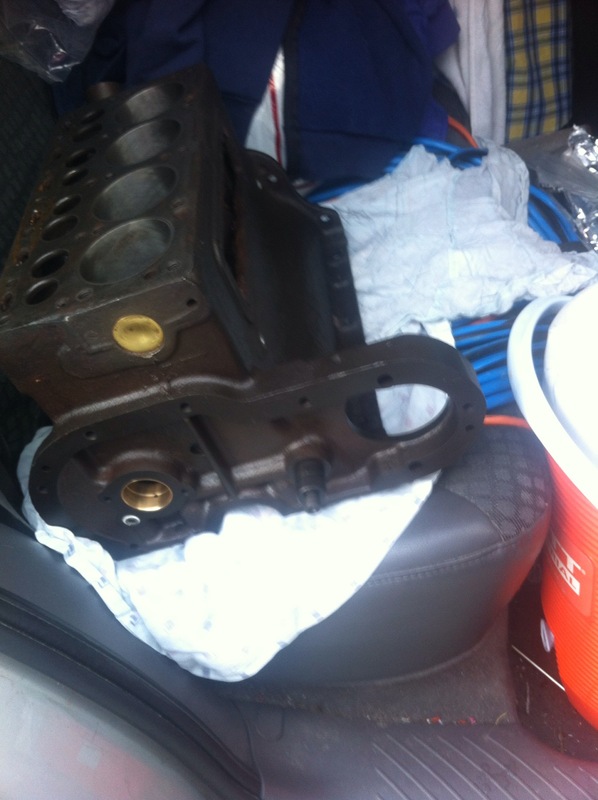 Next up, studs, head, gearbox, flywheel, etc.